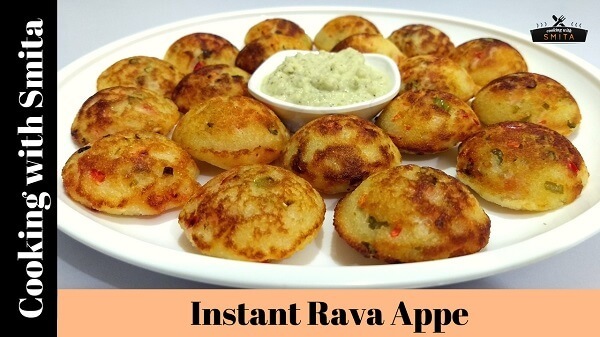 Whenever you are in a hurry to make food but don’t want to compromise on preparing a healthy meal, Instant Rava Appe recipe is here to save your time. It’s quick to make as no fermenting or grinding is required and added lots of vegetables makes it healthy too. Rava Appe is a quick snack made from Rava (Semolina or Suji). Appe or Appam (also known as Paniyaram/Paddu) is a traditional recipe made from Urad Dal & Rice batter, but here I’ve used Semolina to make it quick & delicious dish. Take a large mixing bowl and add Semolina (Rava), Curd and all the vegetables. Add Salt and mix well all the ingredients. Keep it aside for 15 – 20 minutes. Add water as required (approx. 1/4th cup) and prepare the batter. Finally, add Soda and mix well, you can also add ENO instead of Soda. Heat Appe Pan on low flame and grease with 2 – 3 drops of Oil in each of the cavities. Once the oil is slightly hot, pour the batter in Appe Pan cavities. Cover with lid and cook for 5 minutes. Flip over appe after 4-5 minutes and cook for another 3 – 4 minutes. 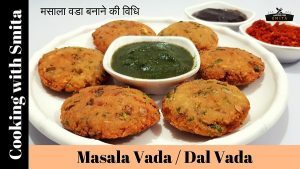 Serve Instant Rava Appe with Coconut Chutney or Tomato Sauce.